Normandy has many historic connections with the United Kingdom. Its shores are less than 100 miles from the south coast of England. 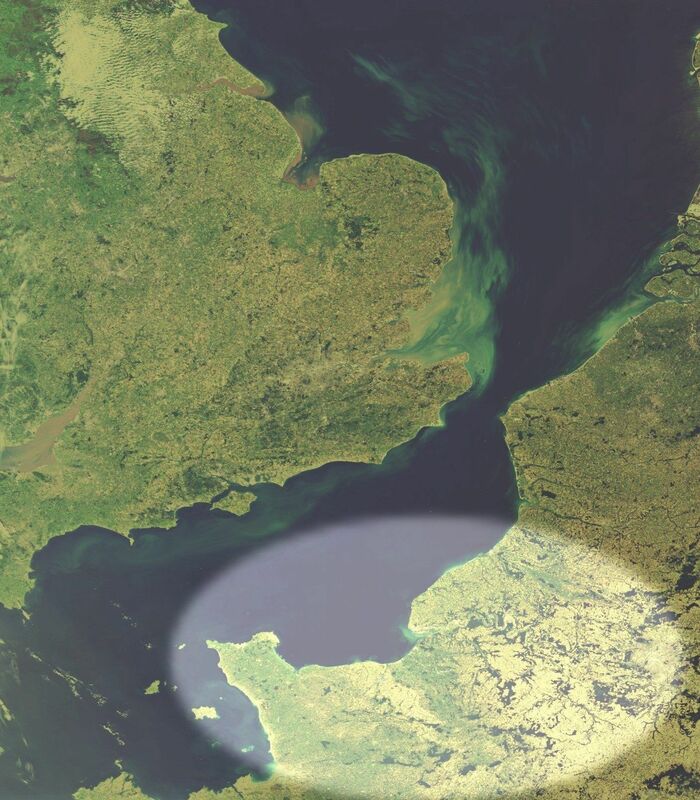 It is an area about the size of Belgium, or the east of England, with a population of about 3.4 million. It is a popular holiday destination in the summer. However, there are relatively few Biblically-centered churches in the region, and the number of Christians there can be numbered only in the thousands. There is a great need for the gospel in Normandy, and for the building up of the Christians. Normandy has been relatively neglected by the western churches. Yet the church there is comparable to countries like Iran and Afghanistan statistically, and workers, whether pastors or missionaries, are few. There is a great need for christians and churches to get involved with Normandy, to learn about the needs and state of the people and the churches, to pray for them, and to become involved through supporting those called to go there, or hearing the call to go themselves. Like much of the rest of France, apart for a few years during the Reformation in the sixteenth century, Normandy has a history that is mainly without the gospel, without the Bible, and without the Lord Jesus. Since WWII there has been a rapid decline in allegiance to the Roman Catholic church, and a turning to atheism and the occult, but the period has also seen the planting and growing of many Evangelical churches throughout certain areas of France. Normandy, though seeing the planting of a few small Evangelical churches, has, with some exceptions, not yet seen the growth of faith that is being witnessed in some of the other regions of France. There are a small number of active Biblically-focused churches, with believers numbering somewhere in the low thousands, in a population of about 3.4 million. The spiritual needs of the region are many and profound; the workers, dedicated men and women of faith, are relatively few. Many church leaders in France are saying that this is a time of great opportunity for preaching the gospel and building up the believers in the churches. The needs are many, but so are the opportunities. The Bible tells us that when Jesus was on earth, as he went around the towns and villages of the regions of Galilee and Judea, he was moved with compassion as he saw the majority of people stressed out and weighed down by the cares and pressures of their lives. They were like sheep without a shepherd. What was his response to seeing their need? When [Jesus] saw the crowds, he had compassion on them. Then he said to his disciples, “The harvest is plentiful, but the workers are few. Ask the Lord of the harvest, therefore, to send out workers into his harvest field” (The Bible, Matthew 9.36-38 New International Version).